LP Extreme series is made of CoolPrene to provide dynamic protection during exercise, for maximum comfort, excellent recovery and best protection. 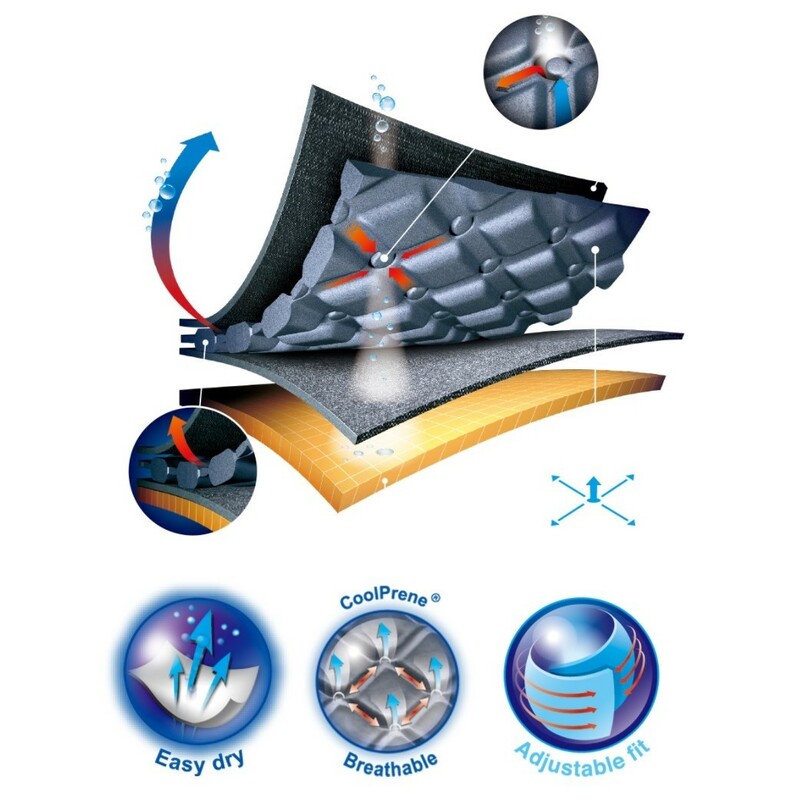 CoolPrene is an innovative patented material. The unique designs come from the theories of kinetics, anatomy bio-mechanics and the mechanism of sports injuries. The diamond-shaped grids and channel pattern of CoolPrene provide dynamic compression and anti-slip for more protection. A revolutionary concept of grooves and venting holes working together in a pumping action when the joint moves, regulates the excess heat and sweat to enhance the comfort of wearing. The LP Extreme Elbow Support is designed to relieve pain associated with elbow injuries, weakness, tennis elbow and golfer’s elbow. The silicone pad offers extra pressure on the forearm, which relieves pain resulting from stressed muscles in the arm during play. The adjustable hook and loop closure allows you to apply greater tension if needed. 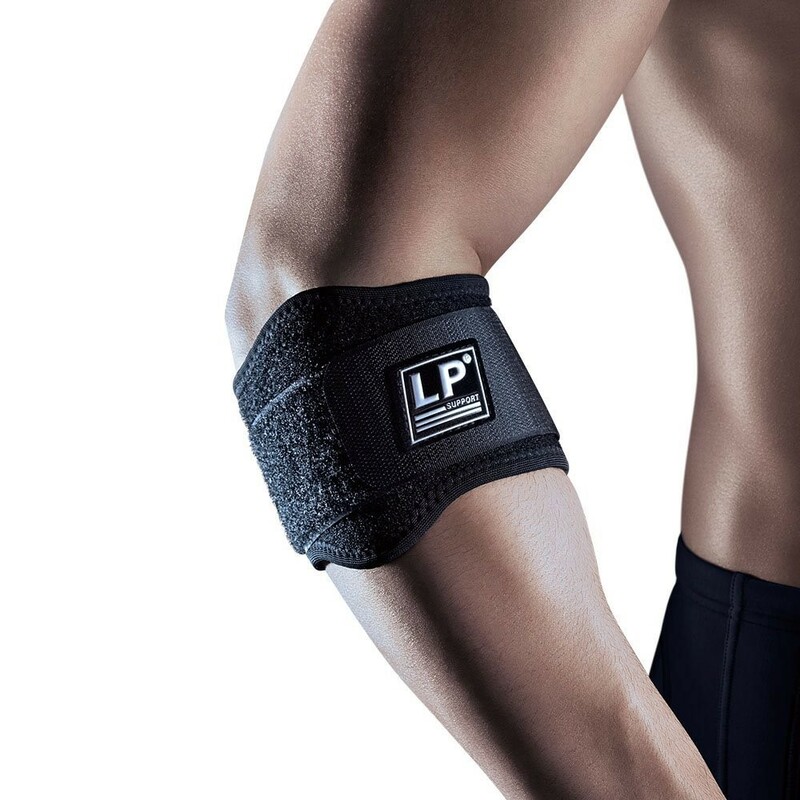 The LP Extreme Elbow Support is made from innovative Coolprene® material incorporating COOLMAX® which helps to keep the skin dry and comfortable. The unique construction of Coolprene® helps relieve pain, swelling and stiffness and can help injuries recover faster. Should a rash or irritation occur, discontinue use and consult your physician. Not recommended to be worn while sleeping. - Hand wash in cold water with mild soap. - Air dry at room temperature. - Do not machine wash and dry.